¿Who´d not love a blanket like this one? It´s hand-woven, made from organic merino wool, and is dyed with natural dyes. 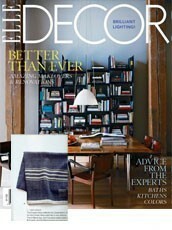 No, it´s not a blanket from Anna Champeney Estudio Textil in Spain, although you might think so. It has, in fact, been woven thousands of miles away by Swans Islands Blankets, en Maine, USA. The company makes these blankets just once a year, and includes one-off as well as limited edition pieces. And if you´re looking for their largest size, measuring 275 x 225cm, dyed with indigo, you´re looking at price tag of around 900 pounds. Expensive, maybe, but definitely worth it for those who have that kind of disposable income. Maybe it´s not something most of us can think about but a heirloom baby blanket costing 147€ is really quite reasonable for a high quality product. 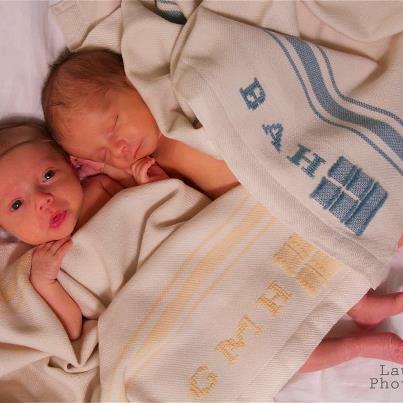 And with a Swans Island blanket and you always have the opportunity to add personalised monograms available as an extra. In Galicia, Spain, where Anna Champeney has her textile studio, she is always suprised to hear so many people lamenting about the fact that “people don´t appreciate the real value of craft”. Because if you look around there are actually quite a lot of examples of high-class craft businesses … who stay in business. So obviously they are doing something right and there ARE people who value craft. …. Anna believes the main problem occurs when either the product itself isn´t of sufficiently high quality or else the promotion and marketing is not right, “I and many other makers have a lot to learn when it comes to marketing. It´s hard job to achieve the level of promotion that other, bigger craft businesses achieve when you work alone because you are responsible from everything – from the design and actual making to writing blog posts and even cleaning of the workshop”. Swans Island Blankets has a team of at least 6 weavers and have 4 AVL looms, together with a person responsible for the dyes … and others who look after the online shop, fairs, etc..
What is the moral of the tale? 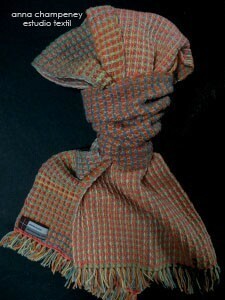 Hand-woven one-off scarves in silk and wool with natural dyes. 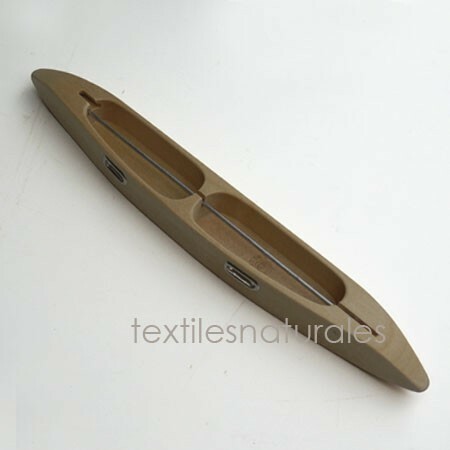 Available direct from Anna Champeney Estudio Textil in the textilesnaturales shop. For craftspeople like Anna, it´s necessary to try and forge a way ahead to match the quality of the product with the quality of the presentation. For clients and potential clients of craft weavers like Anna it´s important to try and judge the actual quality of the design and workmanship rather than rely on a slick marketing or a sophisticated online shop. This collapse weave manual is a comprehensive companion to Lotte Dalgaard´s new Magical Materials To Weave (Trafalgar), also a new publication for 2012. Both authors are experienced, experimental professional weavers with a passion for using active (elastic, overtwisted) yarns. It is a real pleasure to read a book based on serious research, with a wealth of authoritative information, and quality photographs of inspiring woven textiles. A suppliers list, bibliography and cross-referenced index are especially valuable, enabling readers to get the most out of the subject and learn more. Both books understandably focus on the properties of yarn, an understanding of which is fundamental for designing and weaving collapse textiles. Richards´ book is particularly good on explaining about type of spin and the phenomenon of tracking and is comprehensive in its coverage of sett and structure including double weave. Another strength of Richards´ book is her inclusion of stunning work by other prominent weavers worldwide, including Deirdre Wood, Junichi Arai, Reiko Sudo (Nuno). The reversable bag by Junichi Arai (woven in four layers which is completely self-forming) is a good example of the way this Japanese designer relishes technical challenges in weaving. 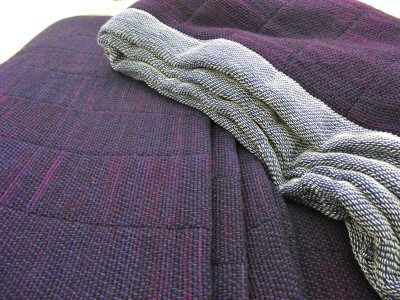 Weaving Textiles That Shape Themselves starts and finishes with the theme of woven textile design. Too often weave books are based on formulas or drafts and cloth swatches which inevitably encourage one to copy rather than innovate. This goes hand-in-hand with another problem in the weaving world which is the lack of opportunitites to learn design skills (I see this in non-English speaking countries like Spain and Latin America, for example). Personally, I was lucky in learning about the importance of sampling from Francisca Pellisca, the Catalan weave artist, who gave me my first introduction to cloth drafting, and so right from the beginning I just assumed that whenever I started a new weave project I would incorporate a section of warp for experimenting, the results of which would lead onto a final, more worked, design. Twelves years on from then and the baskets of samples have become an important reference collection for my own work – it is never enough to have comprehensive written records to refer back to. As Richards comments, this approach of sampling is by no means standard amongst weavers but if the world of constructed textiles is to move on it needs to nurture and promote the idea of weave design as a core skill that all weavers learn – whether as professionals or home weavers. Otherwise standards will drop, the collective body of knowledge will shrink, the sector will lose prestige and visibility and weave be consigned to the status of formula-based hobbycraft rather than as a serious, constantly evolving profession. The chapter “Designing as a Conversation” contains useful pointers for all weavers interested in designing themselves, with straight-forward and practical information, alongside images of Richards´ own work, including her signature pieces – highly sculptural neckpieces. In view of the philosophy behind the book it comes as no surprise that Richards´ book does not contain projects or fabric recipes, but it is clearly aiming at creating a readership that is more interested in acquiring the fundamental knowledge behind collapse weave to empower themselves to develop their own designs. It almost goes without saying that this is not a book for beginners but it is essential reading for those weavers of intermediate to advanced level who are fascinated by the properties of yarn and the incredibly complex interaction with woven structure. This is a book which will inspire and raise standards and should be standard reading on constructed textile courses. This exhibition features work by Ann Richards and Lotte Dalgaard as well as other artists featured in Weaving Textiles That Shape Themselves. The show isorganised to coincide with the double book launch. Here you can see one of the exhibits, new work by Anna Champeney Estudio Textil, together with interesting background information about how the piece was designed and woven. This piece is available for sale. Price. 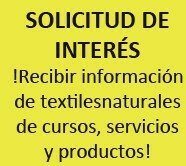 Anna Champeney Estudio Textil offers residential weave tuition at the studio itself, set in a picturesque village amidst stunning mountain scenery in northwest Spain (nearest airports: Santiago de Compostela, A Coruña). 8-shaft table looms and yarns (linen, angora, wool) are also available for hire for those wishing to combine a holiday with a weave retreat. Self-catering accommodation is available in Casa dos Artesans, the simple but comfy cottage adjacent to the weave studio (2 – 5 people). The area offers good walking, thermal spas and historic monasteries and castles, plus local bars serving simple, home-cooked fresh food and local wine. To contact the studio directly click here. Preliminary design work by Anna Champeney Estudio Textil for Minstrel II includes cloth drafting on Weavepoint, yarn wraps and colour-design tables. The design was based on earlier experiments in cord weave with fairly thick angora, alpaca and wool warp which was hand-dyed with indigo, copper and cochineal. Various samples were woven to test out different effects with different active and stable yarns. Sampling is an important part of the design process. Different combinations of weft yarns and densities were trialled. In the end the piece used corneta transparent (Danish Yarn Purchasing Association, www.yarn.dk) and a high twist wool in the weft. The second photo shows what the textile design looks like prior to wet finishing, when just cut from the loom. Limited series with unique colourways on each scarf, hand-woven from 50% sillk, 50% wool, with other similar versions with angora, cashmere. 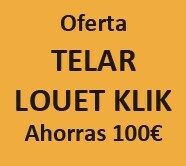 Prices range between 95€ – 185€. Information on request. I´ve just come back from the European Textile Network conference and Kaunas Textile Biennial and the textilesnaturales textile blog is officially “on holiday” … but I just cannot help but post some images up. I´ll be blogging more about my impressions later on in October and November, but let me just say it was a full-on 4 days with exhibition openings, courses, talks and networking presentations to let you know what is coming up in 2012, 2013 and further ahead, in countries around the world. For anyone involved in textile art (and to a lesser extent design, fashion or contemporary craft) and anyone who, like me, specialises in loom-woven textiles, the conference and bienial was a really special opportunity. One of the highlights, for me, was meeting and talking with Reiko Sudo of Nuno (the innovative textile design company run by Reiko – and a particular favourite of mine! ), with the opportunity to learn rust dyeing with her in her course entitled “Rust never sleeps”. Such a simple, yet effective technique, with lots of possibilities to explore. Reiko had a solo exhibition with a number of her fabulous fabrics on display, as well as samples to touch and a display of some of the ways in which Nuno fabrics start out – collage, paper models and drawing. There were numerous other group exhibitions in various museums and galleries around Kaunas. In the four days I was there there was hardly a minute to digest so much new information, and get to know other conference delegates more. But I know I have made new friends there and have been immensely enriched as a result. Perhaps the only thing that I felt was really missing from the event was the organisation of discussion groups, perhaps on themes, which would have encouraged active debate and participation and act as a conduit for and catalyst for new initiatives and ideas. Such groups would also have been a valuable opportunity for newcomers to the ETN conference to really get to know other delegates better, although I found the conference atmosphere to be generally very friendly, and most people very open. It was also a pleasure to meet and talk with Korean textile artist Chunghie Lee and get hold of her new book, Bojagi and Beyond (ISBN978-0-9830029-0-1). As one of my main research interests is traditional peasant textiles of Galicia, north Spain, and their development and use in contemporary textile design and art, it was fascinating to learn about the traditional Korean textile technique of Bojagi (similar, but different to patchwork) and the way that Chunghie has taken this and made it known worldwide. In the preface to her book Chunghie talks about the “thousands of nameless ancestral women” making the bojagi textiles “stitched by their hands and from their hearts”. There is something essential and refreshing about these traditional textile techniques – and contemporary works inspired by them – which sometimes seems to be missing from some contemporary art textiles. Traces by Ainsley Hillard (Wales). 2008. But it was good to see some of the work by contemporary textile artists such as Ainsley Hillard – whose work I have only seen online or in publications up until now (you don´t find many contemporary international textile exhibitions in north Spain these days!) who does seem to be able to capture the ghosts of the past – of both people and places – in her subtle textile installations. Jacquard loom weaving, unsurprisingly, had a very strong presence in the conference and exhibitions – as a future face of contemporary textile art and cutting edge industrial textile design, and with huge potential for arquitectural applications. Vibeke Vestby gave an exciting presentation about her work in the development of the TC2, a new design of computer Jacquard available for the first time, commercially, later in 2011. I wish I could show here the images of the wonderful upholstery produced using the new TC2 that she presented in her lecture. Jacquard weaving is often used to translate – or incorporate – photographic images into woven cloth – Lia Cook (USA) is a leading artist in this field and her work was on display in one of the exhibitions – but it has other applications which are equally exciting. As a hand-weaver, limited to my eight shaft countermarch loom, the idea of a Jacquard loom which enables you to lift up a different combination of warp ends in every pick seems truly liberating. But then again, technical limitation in weaving is something that every weaver comes up against, whatever tool is being used, and limitations represent catalysts for creativity. Jacquard weaving is not a possibility for every weaver, for reasons of cost, access to markets or geographical location. Living in a rural area of Spain, however much I feel attracted to the idea of complex weaves possible on a Jacquard, I don´t feel it is technology that I can easily adapt to at the moment. But thanks to the conference I feel I will definitely pay more attention to Jacquard weaving in future. Special thanks go to Beatrizs Sterk, of ETN, who organised the conference; a huge amount of work and, which I, like most others, cannot adequately appreciate, acknowledge or thank.